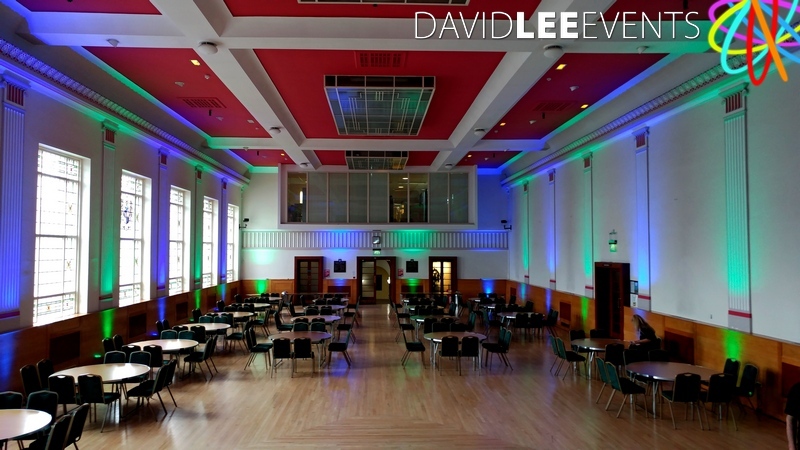 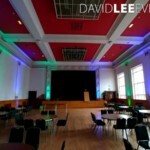 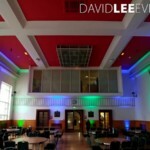 Jubilee Hall situated in Dukinfield Town Hall Tameside, is such a grand room it lends itself to pretty much any type of event. 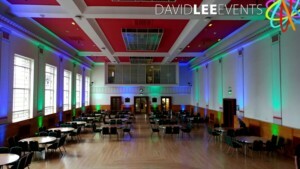 On This occasion it was for a Charity Fundraising Event for the Anthony Seddon Fund who I helped in previous years at another venue. 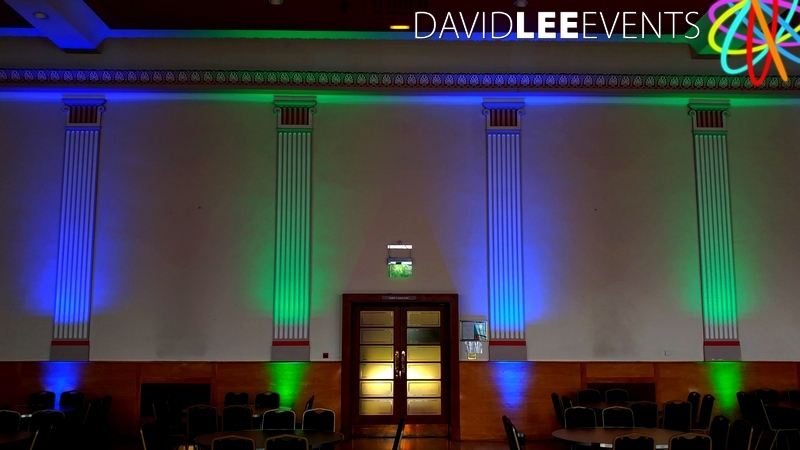 On this occasion I had installed Uplighting on their choice of 2 colours, Blue & Green. 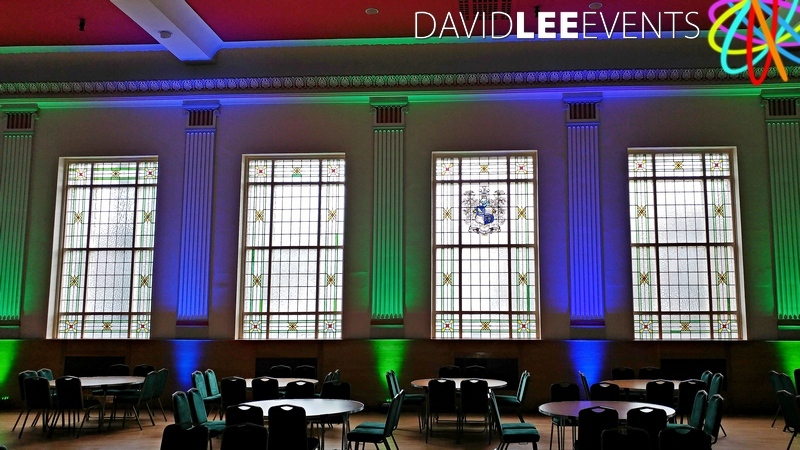 Obviously you can have whatever colour you want for your uplighting. 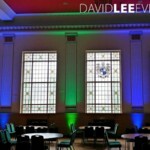 Single, two tone, or rainbow, you decide. 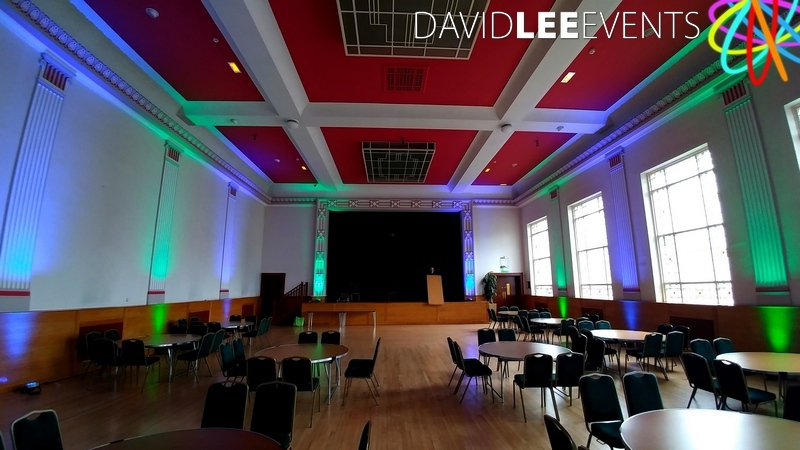 Also because of the size of the room it would be great for Gobo / Logo / Name projection. 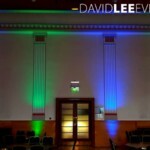 You can even have a Bare Backdrop for the back of the stage / head table if you are having a wedding. 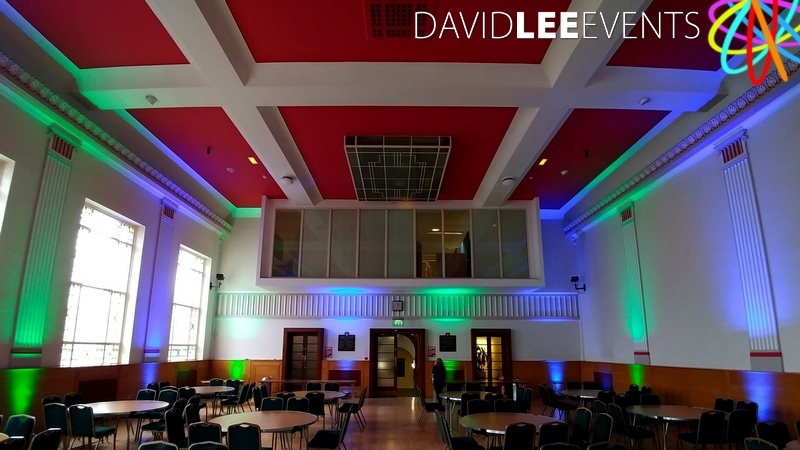 There is a lot of space, and the light coloured walls really lend themselves to making this an ideal venue to truly enhance or transform with lighting.